MEXICO CITY, Mexico — Mexico marked six months Thursday since the disappearance of 43 college students, with parents of the young men holding new protests rejecting the investigation’s conclusion that a gang slaughtered them. The case has become the biggest challenge of President Enrique Peña Nieto’s administration, with a Reforma newspaper opinion poll showing that his approval rating remained at a low 39 percent. Hundreds of people protested in front of the National Electoral Commission in Mexico City to deliver a letter demanding the suspension of June 7 elections in Guerrero, the southern state where the students disappeared. “These last six months have been torture, painful, an agony for us,” Meliton Ortega, uncle of a missing student, said outside the institute protected by riot police. “This is not a political movement. This is for the lives of our 43 students,” he said, adding that they could “not allow elections in Guerrero and in this country” as long as the young men are missing. The parents say they want real change in the country to avoid the election of “narco-politicians” after corrupt officials were accused of being behind the students’ abduction. Relatives planned to lead a march along the capital’s main boulevard later Thursday. A group of parents and fellow students launched a “caravan” across the United States this month to draw attention to the case. Authorities say police in the town of Iguala abducted the aspiring teachers on the night of September 26 and handed them over to the Guerreros Unidos drug gang, which killed them and incinerated their bodies. Only one of the 43 students has been identified among the charred remains that were found in a landfill and a river in the town of Cocula, near Iguala. Authorities have arrested around 100 people, including several Iguala and Cocula police officers, Guerreros Unidos gang members, and Iguala mayor José Luis Abarca and his wife, María de los Ángeles Pineda. The students say they had traveled to Iguala in hijacked buses to raise funds for their left-wing college. Investigators believe Abarca ordered police to intercept the students over fears they would disrupt a speech by his wife, and that the gang confused them with members of a rival criminal group. Human rights groups have criticized the investigation, saying it relied too much on witnesses instead of physical evidence to conclude that the students were killed. 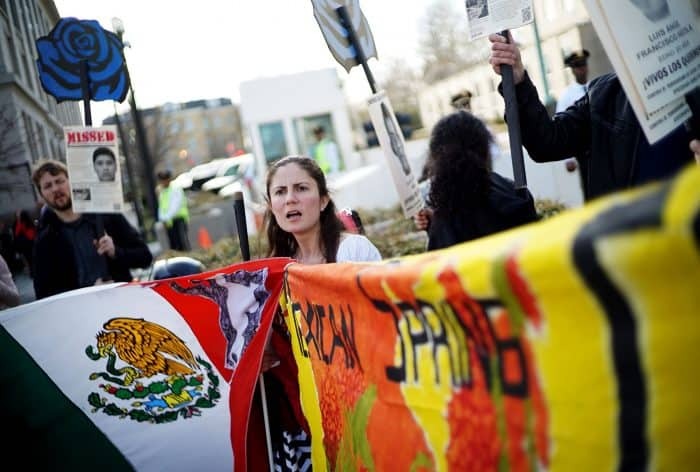 “We express our concern over the recent attempts by the Mexican government to discredit and not take into account the recommendations and observations of international human rights organizations,” Amnesty International and other rights groups said in a joint statement. 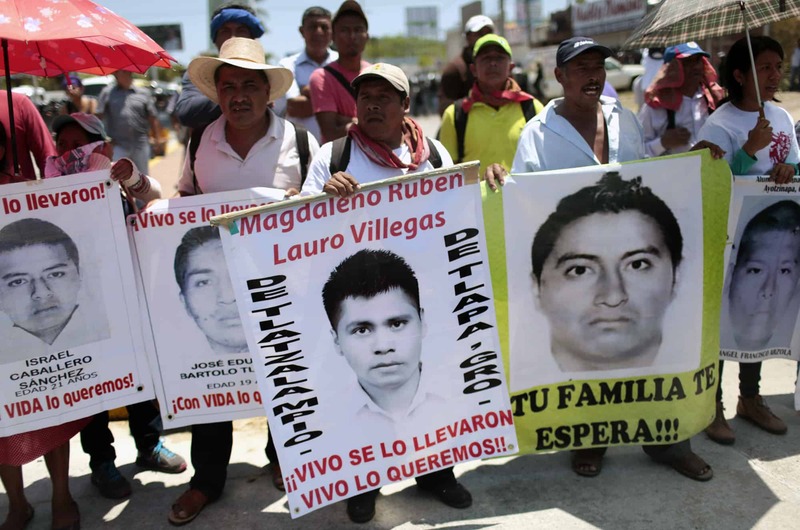 Experts from the Inter-American Human Rights Commission said last week that the fate of the 43 students remains unclear and that they want to interview soldiers based in Iguala to see if they know anything about what happened the night of the mass disappearance.